At dinner one Saturday earlier this month, a friend talked of plans for the future. She’s contemplating closing the successful, boutique public relations firm she founded decades ago and relocating within the next few years to someplace warmer and much different than Chicago. 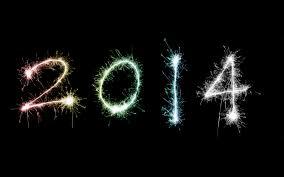 What one great thing will you try to accomplish in 2014? Or, perhaps you’ll take on more than one? There, she would pursue her passion for painting abstracts and landscapes. “I want to do one more great thing with my life,” our friend said. One more great thing is a very achievable goal for a highly respected public relations professional, great business woman and very accomplished visual artist. And, there’s not a doubt that our friend will accomplish this and other great things in her life — whether here, in Mexico or someplace else. 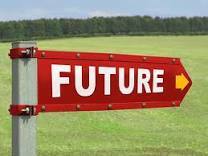 Your future is in that direction. Set a goal, follow it and accomplish one great thing. 1. Landed a terrific new career in the academic arena. 2. Gained a renewed interest in exercise; I’ve been running regularly since summer. 3. Maintained a robust publishing schedule for The PRDude blog; today’s final post of 2013 marks 48 for the year. 4. And, as you might expect, demonstrated my continued passion for public relations and the Accredited in Public Relations credential. I attended my first PRSA National Assembly and will again help members of PRSA Chicago interested in earning the APR credential. As for 2014, I plan to begin earning my Master’s degree in English. That one great thing will take a few years, but it’s achievable. What direction will your future take? Pursue one great thing in 2014 and find out. This entry was posted in Uncategorized and tagged Accredited in Public Relations, APR, Chicago, Edward M. Bury, PRSA, PRSA Chicago, public relations, Public Relations Society of America. Bookmark the permalink.